Our aim is to make the experience as stress free and rewarding as possible for you. Once you have decided on the type of project you want to create we will ask you to do a little preparation, for instance thinking in advance of the topics you want to talk about and perhaps prepare yourself some notes. We can send you some “prompt” sheets, these are purely to give you some ideas of subjects you might want to mention. Viv will ar rive at the prearranged venue with a small professional recorder which she will arrange in an unobtrusive place as possible next to you and will then either sit quietly whilst you reminisce and recount your memories or, if you prefer, will prompt with one or two questions if this helps. Once you have finished talking Viv will go away and edit out any long gaps or interruptions to make it sound free flowing and as natural as possible. 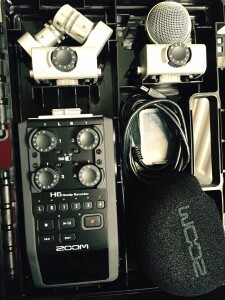 At this stage music or pre-recorded sound effects can be added if you wish. 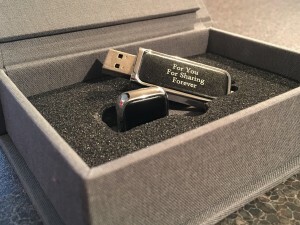 The finished project will then be put onto a USB memory stick (or other media of your choice) and posted to you in its presentation case, along with the final invoice. If you have any questions, or would like anything clarified then please do get in touch.